I've been to Manchester a couple of times before but I have never really seen a lot of it. Just the shopping centres to tell the truth. This time we decided to go explore a little more, we found some quirky little streets with cute vintage shops tea rooms and comic book/record stores and my boyfriend was in his element. This lead me to stand in a boiling hot basement full of comics for at least thirty minutes before he decided which one he wanted most. 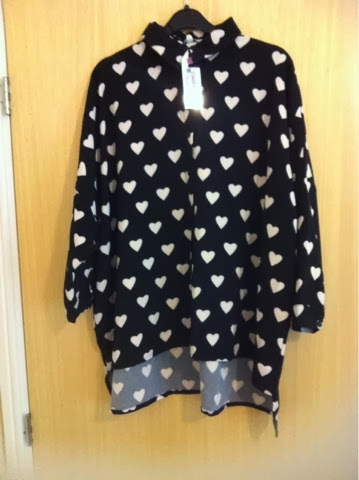 After this I found a really cool looking shop with skulls, floral and Victorian jewellery in the window I found a lovely clothing piece which I shall tell you about in another post. Later on that evening we googled the best places to eat as we love American themed restaurants we thought we would start there. 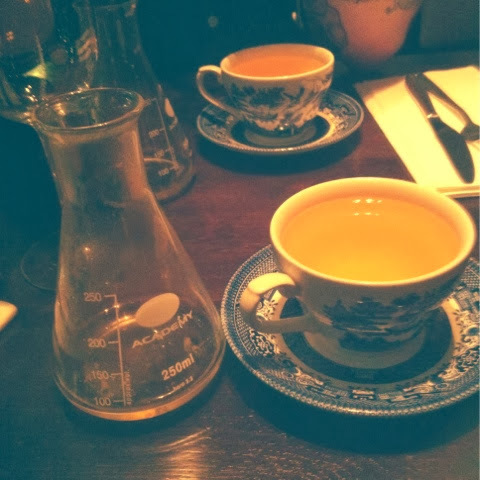 I stumbled on a place called 'The Alchemist'. From the reviews on trip adviser I instantly got excited to go there. When we pulled up outside I knew it was going to be fun. We do have a lot of restaurants in Birmingham but I love finding places that are a little different. The place was full of energy and service was lovely. 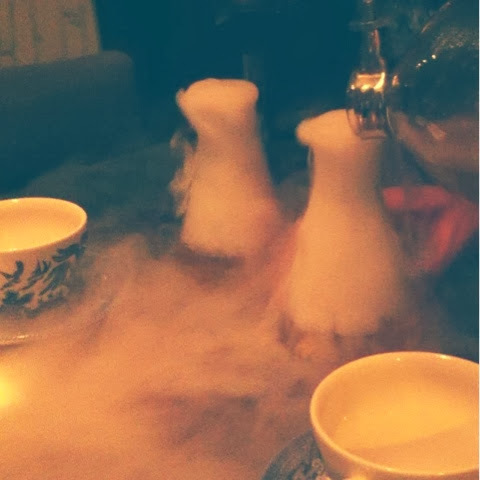 We ordered a crazy cocktail which consisted of chemistry beakers, dry ice and gorgeous little tea cups. It was something I'd never really seen before and we loved it. Even the food was something special with little details like a basket in the shape of a chicken to hold your food and it tasted beautiful. It was a great night and I think anyone would enjoy it as it had definitely something for everyone. This weekend has taught me not to just go to places we already are familiar with but to dig a little deeper. I have been wanting one of these for awhile now but as they are a little pricey, I kept putting it off. So this pay day I thought why not? I am going to be honest and admit that I am pretty lazy when it comes to styling my own hair. The rolled out of bed look normal serves me well but iv always wanted to be able to get curly hair quickly and I've found this to work like a dream. I love the fact that you can use the coding system to get which ever style curl you feel like at the time. 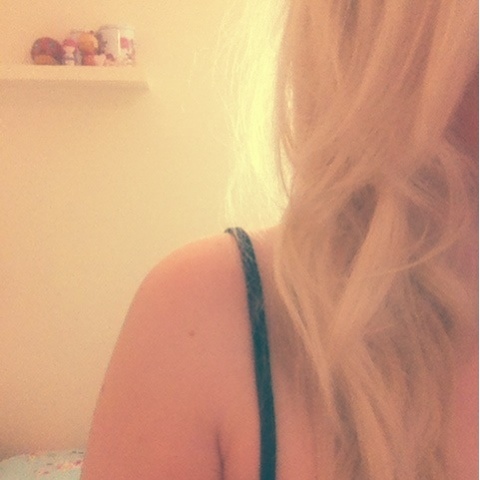 Today I attempted the bohemian soft curl and loved it. 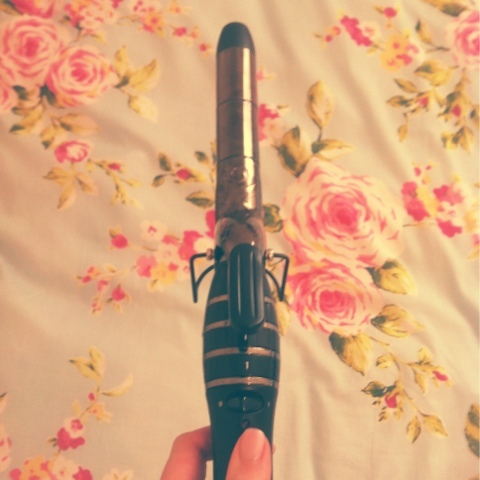 I'm not going to lie I did burn my fingers a few times out of clumsiness, but I was really Impressed with how quickly the styler heated up I didn't have to wait long at all and that's great for me as I tend to be a little impatient. I am really happy with this purchase and would definitely recommend this to girls on the hunt for the perfect curl.